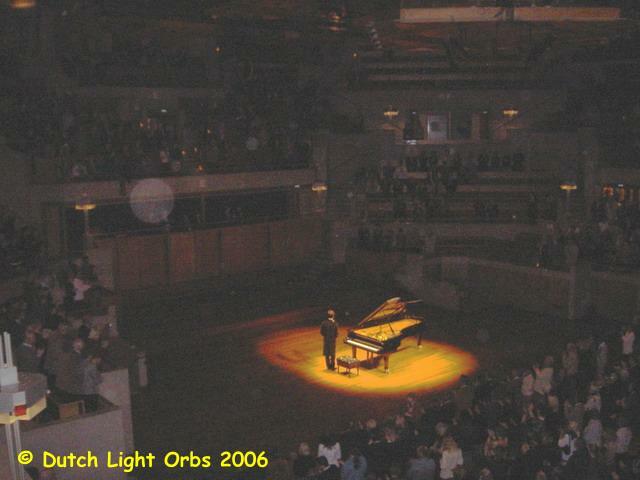 On this webpage you'll find photos made during several concerts of the famous Dutch masterpianist Wibi Soerjadi. 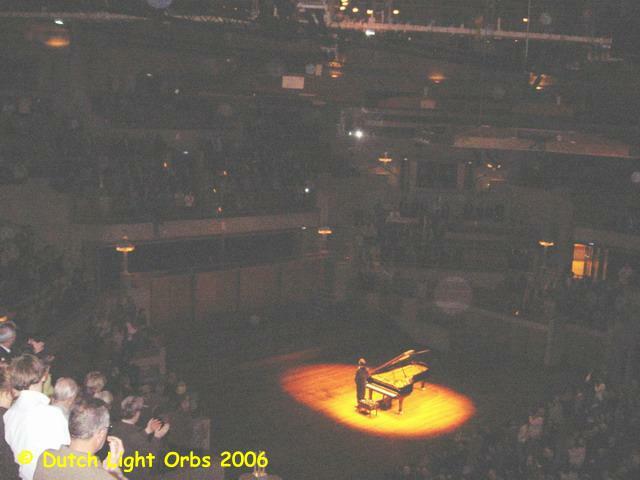 That orbs love have themselves beeing photographed during concerts, parties, stage performances, and other gatherings of people having fun, and feeling great, you can read about on other pages on this website. 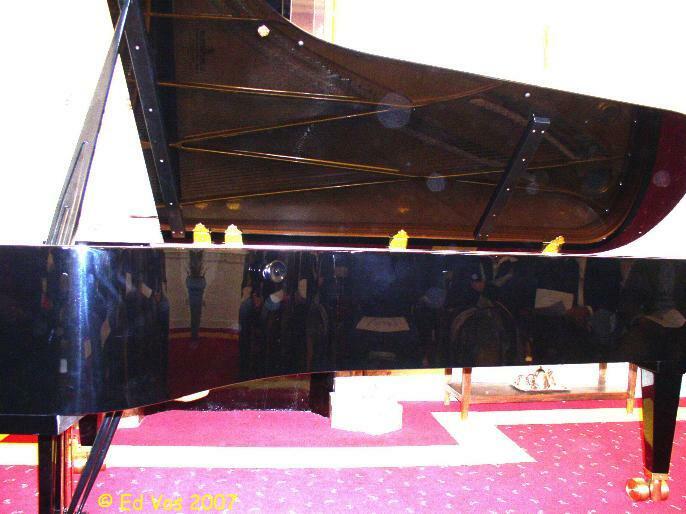 Wibi performs with great mastership those works of the "old"componists like Kizt, Chopin, Mozart etc. 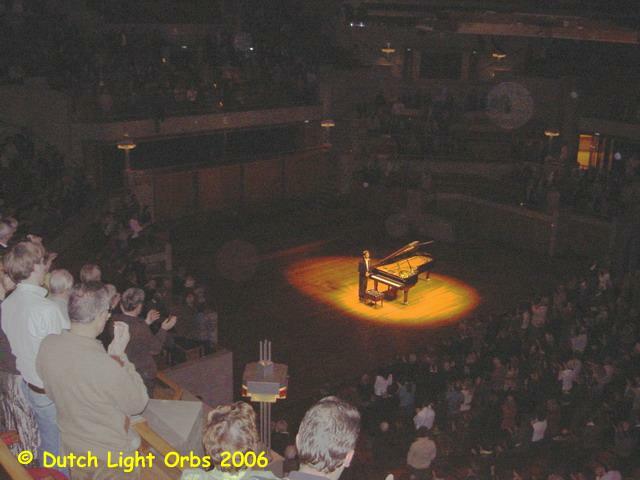 He also composes piano music himself. 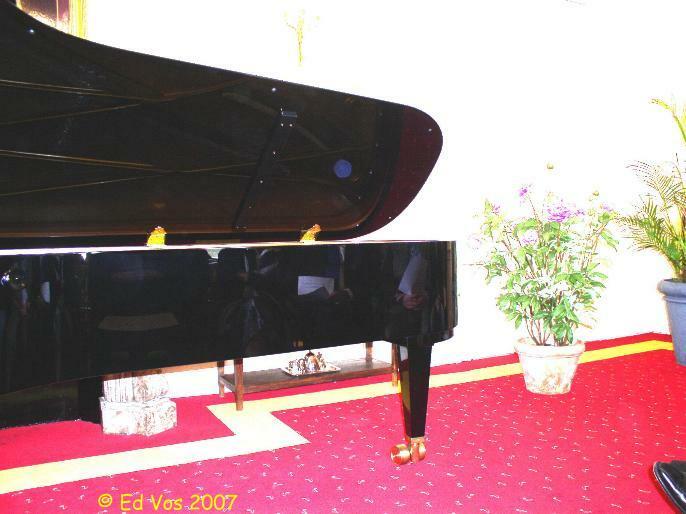 He also makes great transcriptions for piano of movie music. Wibi also composed music for the performance of the horse Sunrise. Doing so, he is totally one with that horse and amazone. A total unification of horse, amazone and componist. At this moment, Wibi is bussy composing another Piano piece for the Dutch amazone Ankie van Grunsven. A amazone with a great reputation. 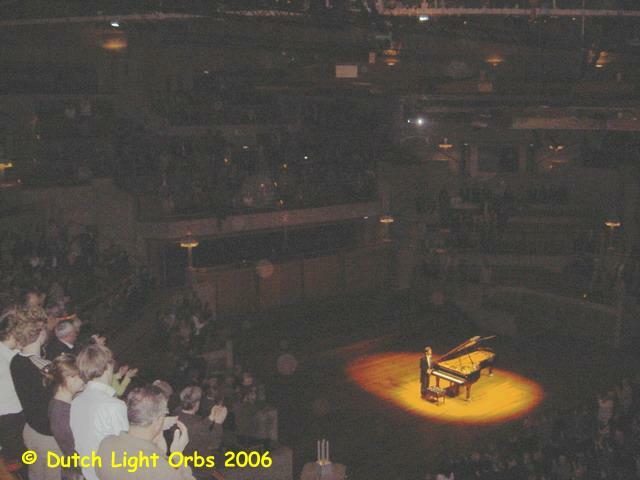 During several concerts of Wibi, orbs have been photographed. Manifestations of other dimensions probably, photographed by several people. 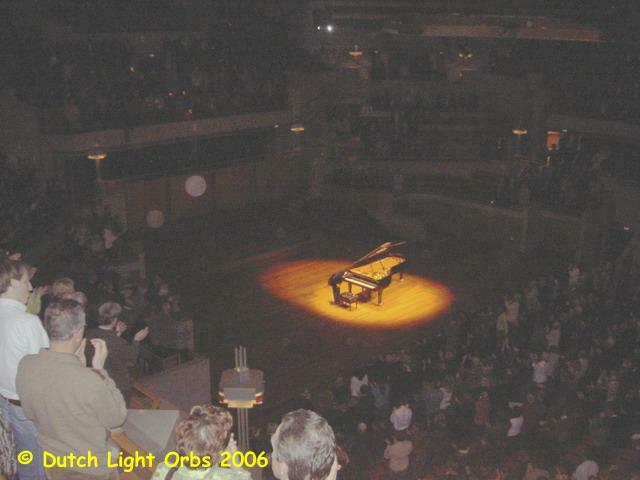 During the concerts one is not allowed to photograph. It would get Wibi out of his concentration. 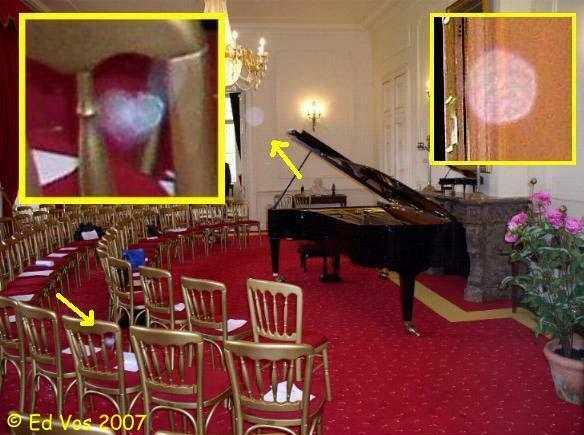 The phots below are all taken after the concerts or during the breaks. 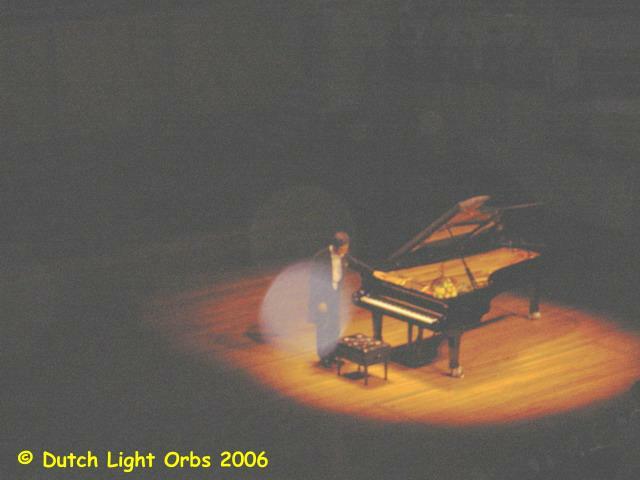 During a concert in the "concertgebouw" in Amsterdam I made the pictures below. One wasn't allowed to make pictures. These pics were made before the concert. Untill I got a warning!